There is a lot happening at Fire Church and at all times of the week! Feel free to join us in some of our Church Life times and events. We'd love to meet you! Sometimes in a big church it can be easy to feel lost or not connected and part of a family. Our aim is to make space for everyone to be a part of building Kingdom community. 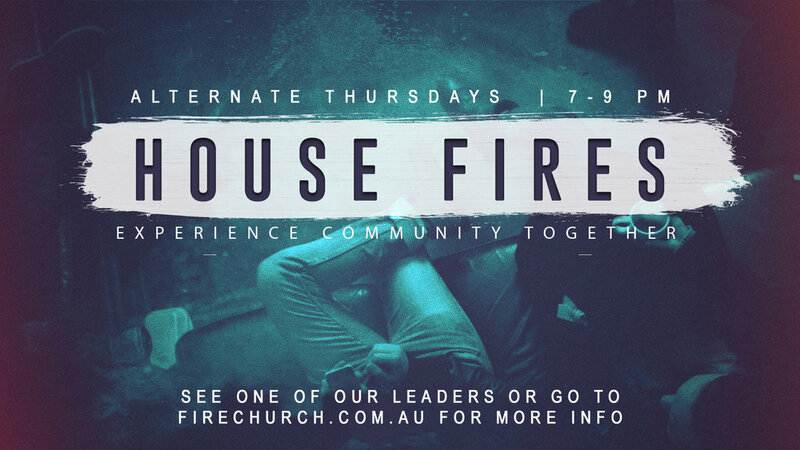 We highly encourage you to attend our Housefires groups which run fortnightly. We share food together, build community, train, disciple and feast on the word of God together. 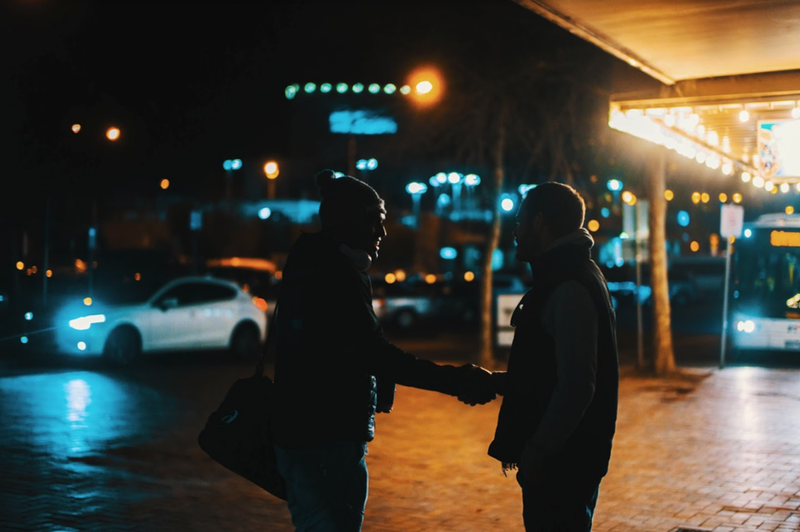 At Fire Church this is the best way for you to be known and to know others, to build deeper relationships and receive the support you need from our group leaders. HOUSEFIRES ARE BACK, FORTNIGHTLY FROM JAN 24TH! Locate your nearest HouseFire below! Every week we have teams of people that are bursting and overflowing with love. We go out into the highways, byways and streets of our cities. Our mandate is to "love the hell out of people". Come and help us preach and demonstrate the glorious gospel which is the power of God unto salvation. Wild Fire Outreach is not exclusive to Fire Church, anyone is welcome to join us. Contact Jon Boey for more. Our Churches hold regular prayer meetings. We believe that nothing happens without prayer. We believe that prayer is the engine room of the Church life that happens. 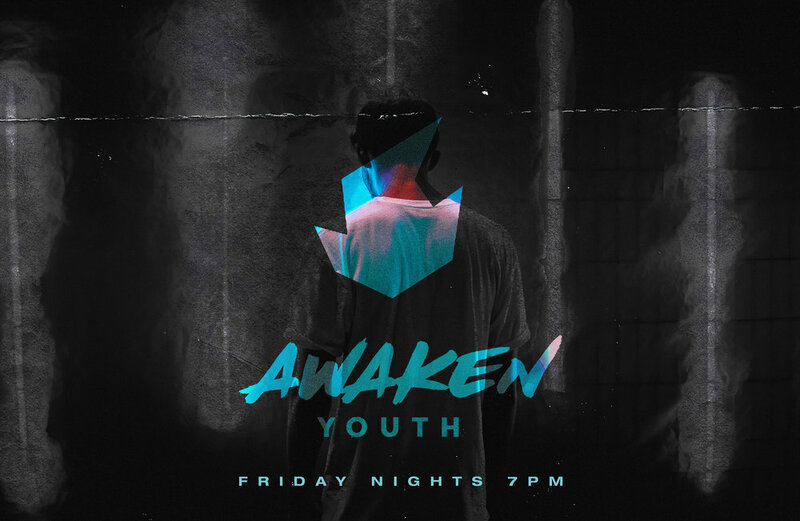 Fire's Youth Ministry is here to challenge and grow the next generation! Fire Kids is a safe, welcoming, and vibrant ministry designed for children aged 3 - 12. The team of passionate and dedicated leaders are equipped to engage the young hearts and minds of the church to grow in their understanding and application of the Word of God. In partnership with parents, carers and families, Fire Kids primary mission is to see children know and love Jesus, and to know who they are in Him. Under the guidance of the Holy Spirit, our curriculum is tailored to include a wide range of topics, biblical teaching, and practical life skills. For more info or questions please contact us! Fire Church Ministries are proud supporters of Rescue Australia. This is a missions ministry that reaches out to the indigenous communities around Australia. Evangelist Frank Clancy heads up this work and also trains up missionaries to do the same. Australia and would like more info visit the Rescue Australia website or contact us. Would you would like to support this work around Australia? Liberty Missions - setting the captives free - is a mission with the purpose of fulfilling the great commission of Jesus Christ and Isaiah 61 in all the earth. 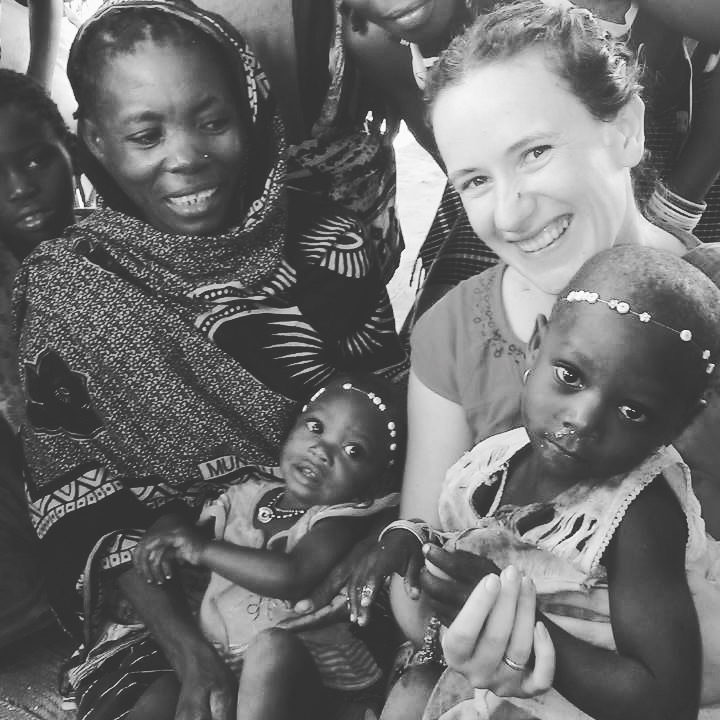 Ash and Ros are currently living in South Africa, continuing the work of the gospel there after 6 years of living and preaching the gospel in Northern Mozambique with Iris Global. Whilst in Mozambique, they planted over forty churches in one of the darkest unreached regions in the nation, which they still help to oversee under the banner of Iris Global. In South Africa, they are currently establishing their ministry - Liberty Missions - which they first founded in Australia in 2006. 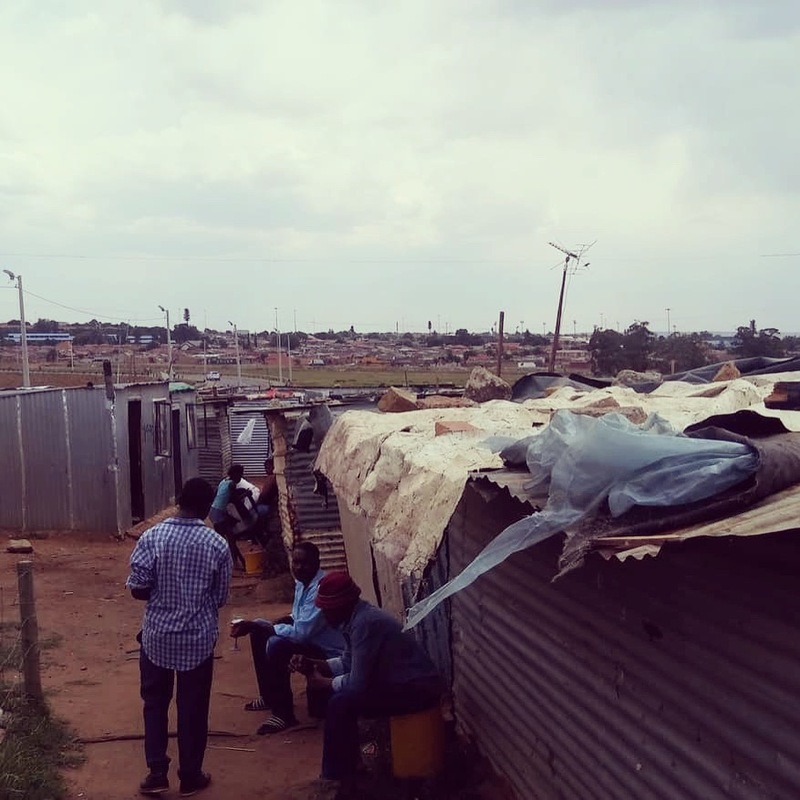 The heart of Liberty Missions is to bring freedom to the captives through the gospel, and so ministry is being established in several places throughout South Africa, including Soweto, Johannesburg, where the uprising against apartheid first began and where abject poverty still exists. The ministry is also working on creating an online Bible College and other online courses which will make discipleship and training accessible to anyone, anywhere, at any time. This is crucial when the ministry takes the gospel into dangerous or remote areas where it is difficult for physical training and equipping centres to be established. The Kingdom of God must be advanced - one person, one town, one nation at a time, and Liberty Missions is already working on advancing with the gospel into neghbouring African countries such as Botswana, Namibia and Zambia. Doors are also opening up for them in some "closed nations" as well as other locations around the globe. People are hungry and searching for God all over the earth, and Jesus wants us to go into all the earth with His gospel! "Our first priority; our main mission is to preach the gospel of Jesus Christ to the lost, the hurting and those in captivity. We are always ready to share the message of salvation to anyone, anywhere, at any time. We also actively seek out the lost, especially in places where others don't want to go; where it might be dangerous or ugly or where others fear to go or have given up hope of change. We live for those places because the Light of Christ shines brighter the darker it gets around you!"